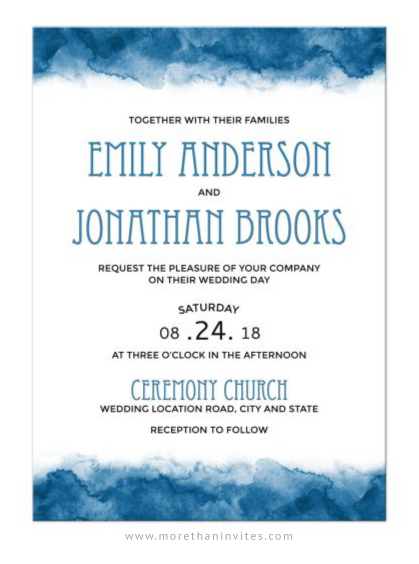 Elegant wedding invitations featuring a blue watercolor border top and bottom. A modern and stylish design available from Lemon leaf prints. Matching items include RSVP cards and reception cards.